This week we began the first part of our zoo unit. Below are some things we did during centers and while learning about animals that live in the grasslands of Africa. Check back next week for Zoo-Part 2. We did the fingerprint investigations from Deanna Jump's Zoo Unit...So much fun. My kids loved it! We also completed a tree map on each animal we studied this week. These are also from Deanna's Zoo Unit. I think clipboards at the rug are some of my favorite teaching moments. We practiced counting by 2's. For those that needed help they could count the colors on each sticker...that's what was so great about these stickers from ctp. I used the blends and digraph teaching tubs for this center. I chose a few of the ch, th, and sh sounds and they had to draw an object out of the bag and write it on a spot. A pocket chart story by me. Got this game from Jamie M. She's my "partner in crime." This is just a rhyming puzzle I made. They had to draw a matching color piece out of the bag "without looking" and then match it to it's rhyme. We made the following grassland animals from Deanna's unit as well. We added a fact to the back of each one. I changed a few of the sizes to die-cuts to make it easier on me!! We added an 18 inch tongue to our giraffes with a fact on the back. They look adorable hanging from the ceiling! OOPS! This picture is sideways. It's our fact on the back of our elephant. We did this during small groups and sounded out the words. This was done the kid-writing way. 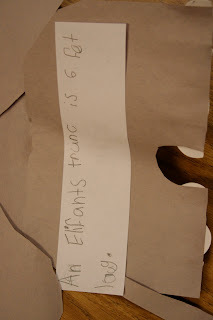 It says: "An elephant's trunk is 6 feet long." 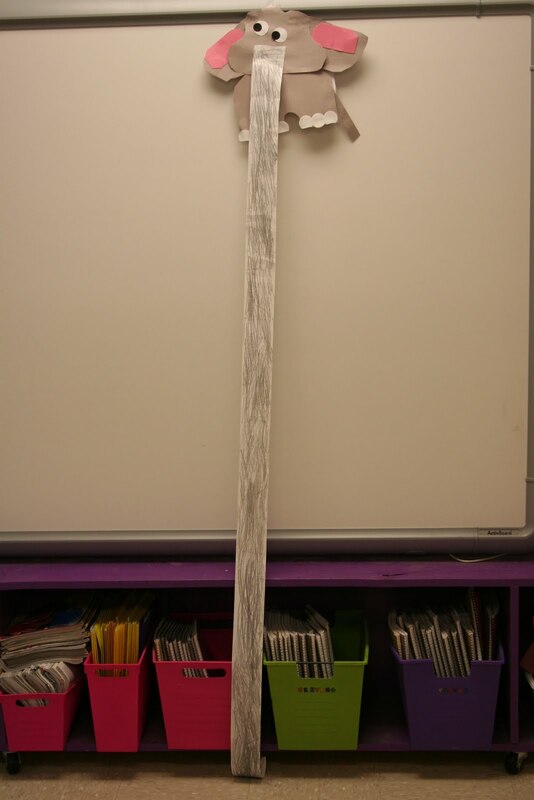 We added a 6 foot long strip for the elephant's trunk. The kids had to measure out their own trunk to be 6 feet. Then they colored their trunk gray and glued it on. I got the trunk idea from Suzan and the elephant idea from Deanna. The little girl that made this said, "Look, my lion is running!" 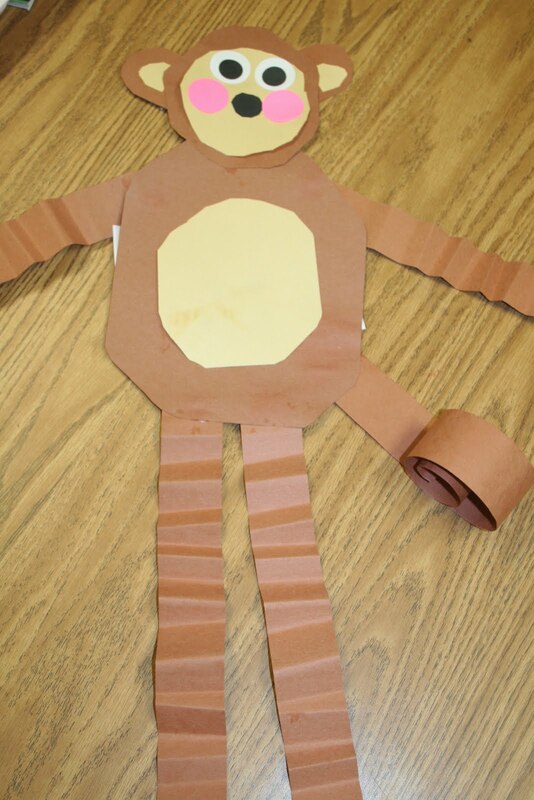 This monkey idea came from Kim Jordano. We marble painted a tiger in art center and added a fact for our zoo fact book. This is our zebra fact book page. Idea from Suzan. wow! looks like a great week! Another fantastic unit! Would love a copy and of course would be sure to donate to your donorschoose.org. 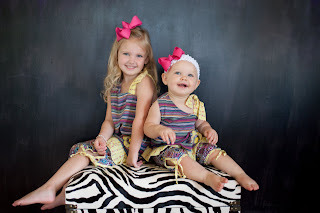 By the way, your little ones are adorable! Another great unit. My students are busy working on your spring centers. They are loving it. Would love a copy of these too. Thanks so much for all you do. 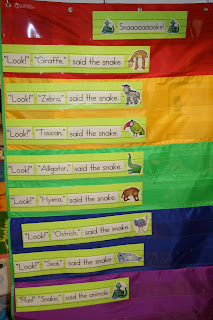 I am doing a zoo unit next week! I would love copies of these too! Your ideas are wonderful and so creative!! Thanks! I'd love a copy of your wonderful centers as well. You are a constant inspiration. Are your centers from Deanna's Zoo Unit as well? If not, do you have them posted on TPT? I'd love to get copies! Amazing stuff! We do our zoo unit in June right before we head to the zoo.My kids would love ALL of this :) I would love a copy of anything you would be willing to share! Thank you! I don't know how you do it!!! We are headed to the zoo in 3 weeks here in Chicago. Would love a copy of your centers. Great ideas! I would LOVE a copy! Thank you! I look forward to seeing your new centers each week. 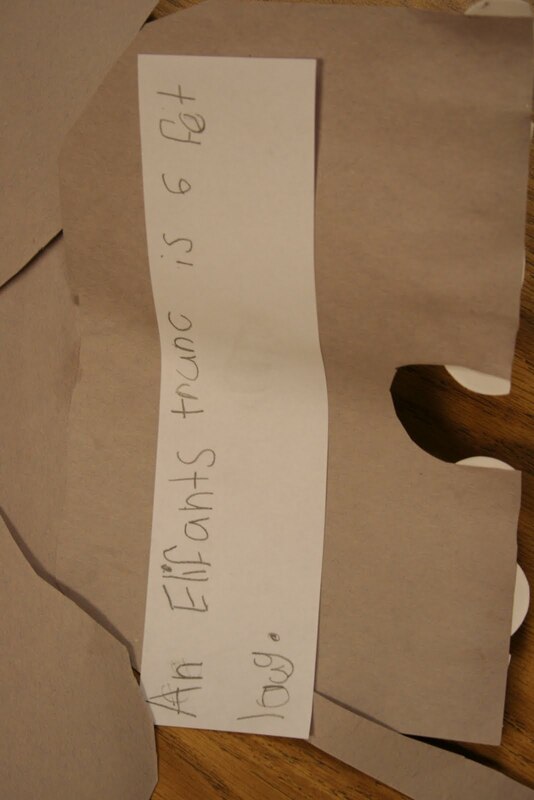 I love your ideas, and so do my kindergarten kiddos! 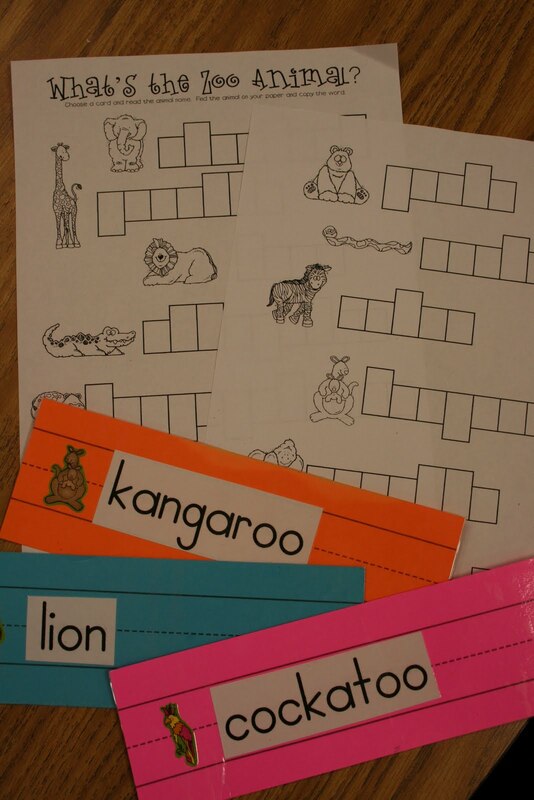 I would love to have a copy of your zoo centers, and would be happy to donate to donorschoose.org. Thank you so much and have a great weekend! I would love a copy of your centers!! wow! I am just amazed at all you do! You are such an inspiration to me!!! and your daughters are adorable! precious!! Thanks so much for sharing you things! Your work is awesome and your girls are precious! I would love a copy of the zoo centers as well. Thanks for being so generous. Great ideas! I would love a copy! Thank you so much! I would love a copy of this amazing zoo unit. I donated to "You ink it, We think it" at Donors Choose. Your blog is wonderful. Thank You very much. As always, Julie...you have outdone yourself! 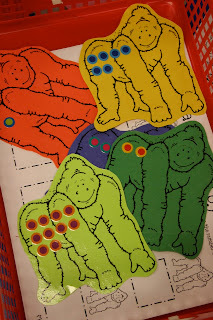 I would love a copy of your zoo centers and the patterns you used for the gorillas (counting by 2's) and the animals you used for patterns for the money game. I will also be donating to you at Donor's Choose! Thanks again! These are amazing! I would love a copy. Thanks! LOVE these centers! I would love a copy of them! I am using some of the others that you sent me with my students this week and I am soooo excited. Thanks a bunch and will see what you have cooked up on Donors Choice! Wow! Your educating students and teachers all across the U.S. I always get so excited each week to see what you are doing in the classroom. You have inspired me to be a better teacher! I would love a copy of these ideas and will defnitely donate to your classroom! I love all your wonderful ideas!!! I would like a copy! I will definitely donate to your room! I would love a copy of your zoo stuff!! Adorable!! We will be doing our Zoo theme in 2 weeks!! These would be perfect!! Thanks!! Do you sell these units on TPT? I would be interested in purchasing this and your farm unit. I bought Deanna Jump's units and yours would fill in the missing pieces I need. They are amazing! I have to say though, your little cuties at the end are the best part! Your ideas are great! Would love to get a copy of your Zoo unit. 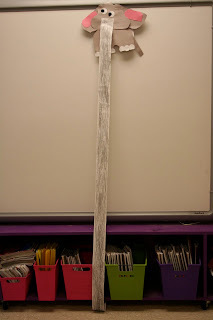 I teach Pre-K and have gotten so many ideas from your blog. Thank you for your inspiration. love your ideas....as usual...you are amazing...I would love anything you are willing to share!!! Awesome! I would love to have copies of your work! Awesome ideas!! I would also love a copy if you are willing to share!! Wow! I feel like I am requesting one of everything. You are truly a gold mine of information! I would love anything you are willing to share, and I will be making a donation as well. Thank you for all you do! Wow! You've done it again! I love your ideas they are so, so cute! It is too bad that you can't buy in on the DJ inkers clipart and put all of your hard work on teachers pay teachers. Amazing!! Can you please add me to send copies of your zoo ideas! You are so creative! Hi Julie! I also purchased Deanna's zoo unit, but would love your additional centers to add to it. Thanks for your generosity! Wow, your activities are so inspiring, your room looks amazing with the kid's work displayed, I love their animal writing. We head off to the zoo in August so I would love a copy of this great unit please. I will donate to Donors Choose. Could I also have a copy? Your stuff has been so good to use in my room! I don't have an e-mail from you. Get me one and I can send you the things. Your units are amazing! I especially love the math centers you do. 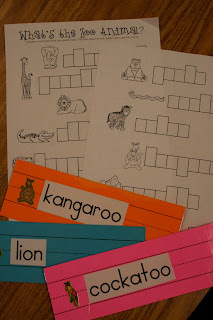 I will be starting the zoo in May and would absolutely love to have some of these printables to use with my class! Thanks so much! Your Zoo Unit is wonderful. Can I get a copy of your center worksheets. I will make a donation to your classroom. Love all your stuff and would love to get a copy of your farm unit and your zoo unit. Could I please get one. I will make a donation as well. Thanks for all the inspiration. I just found your site. I'm LOVING it!!! I was wondering if you would sahre your items? I just discovered you and I am so excited to see all of your great ideas. I've already bought Deanna Jump's zoo unit. Where can I get yours? Julie!! 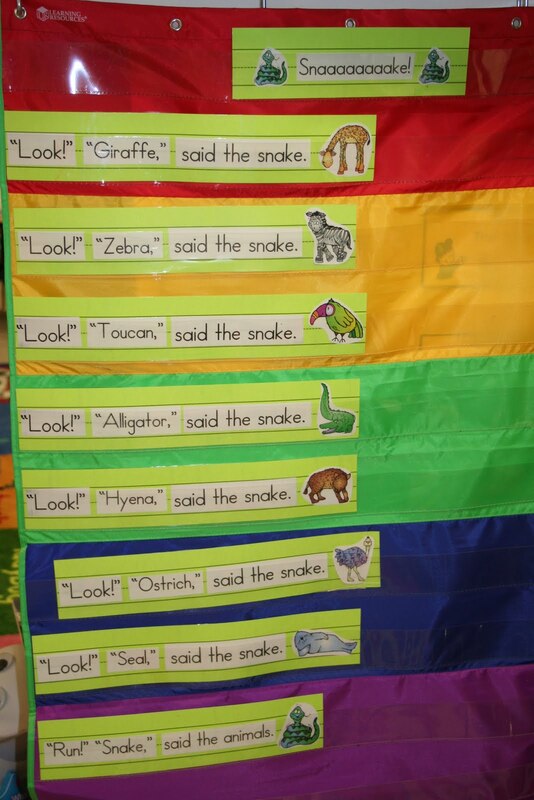 This inspired me to do a zoo unit!! 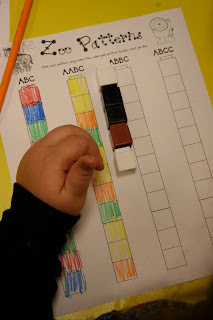 Love love the kangaroo hop idea- ties imperfectly with our measurement unit! Would love a copy of your centers! Amazing. I love all your centers, I would love copies of your zoo. Thank you so much. Your things look great! We'd love to use them with our upcoming zoo unit if you're sharing! I absolutely love your zoo unit! Your centers are awesome. 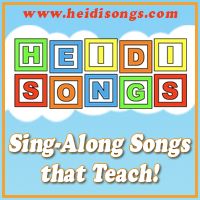 Do you do them during small group time? You have inspired me to do a zoo unit! I would love to have a copy of your zoo unit. Each time I look at your site I get new ideas. Thanks for posting. I would love if you would share your zoo unit stuff!! It looks like so much fun!! What an amazing unit! Would love a copy of your unit for my kinders. Thanks so much! Hi! I am a first year kindergarten teacher, currently teaching at an international Christian school in Caracas, Venezuela. Resources are super limited here, and getting resources proves difficult, but your blog has been an amazing inspiration for creative and wonderful ideas! I appreciate it so much, and it really blesses my kids. I'm taking my students to the zoo soon and was browsing your page and stumbled upon all your amazing ideas and center activities and such. I was curious if you wouldn't mind sending me digital copies of anything you have or directions and such for your centers?? I purchased Deanna Jump's Zoo Math and Literacy Fun which you noted using. Is any of your stuff for this unit for purchase on TPT or could you send me anything? Thank you sooo sooo very much! You're a wonderful teacher and blessing! Your students are so blessed! My email is acurrieo@icscaracas.com! I would love, love copies of your zoo unit! The center ideas would be so wonderful for my little ones to do. If you share please send to me. Would you please share your zoo unit with me? I looked you up on TpT and couldn't find it. Thank you for sharing your time and talents with all of us! I was going to ask the same question as the post above! I would love the activities you used to pair with Deanna Jump's unit. Your zoo stuff is so, so cute! We are going on a field trip to the zoo in May! I'd also love a copy of these if you are willing to share. :) Thanks a bunch! zoo unit you may like! I would love to make a donation to donors choose or pay for some of your fabulous printables for our zoo unit! I am a first year teacher and every time I am looking up fresh ideas to do with my students in the class, your name always pops up and I always LOVE your ideas. You are great at what you do and I appreciate you sharing all of your fabulous ideas. I was wondering if you could be so kind as to share your zoo unit with me? Thanks so much! I would also like copies of your printables. Hi Julie could i please also get a copy of the farm and zoo units for centers? DO we need to donate somewhere? I would be happy to do that. Could you please email me at kbowersock@lincolnview.k12.oh.us LOVE your ideas! Wow this is jam packed with wonderful activities! 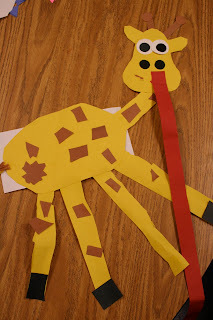 My kinders and I would greatly appreciate any/all of your zoo printables and center activities. Thanks a million! 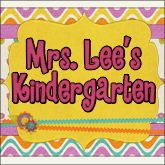 I love your site, so many great ideas and your TPT items are awesome. I cannot find a unit on there from you for the zoo besides just the zoo animal faces. Who do the printables belong to and how can I get them? I am particularly interested in "What's the zoo animal" "Spot the Sound" and the "How much does it cost to see the zoo animals." Thanks so much! And I really appreciate the blog! I would love to have the farm unit if possible.